Don't just go along, Go Beyond. Haven XPA, Exclusive to us. Let Go Orange take you on a journey on board the newly refurbished Milford Haven ship. We pride ourselves in our approach to cruising, allowing you and your fellow travelers the time to immerse fully in the jaw dropping surrounds. You can chose to explore the ship without haste as you have a full two hours out on the water. We aim to get you as close to the mountains that rise from the ocean as possible, carving the epic fiord we see today. With a fresh, dynamic approach to cruising Milford Sound, we appeal to all who want to join our evolving story and Go Beyond. Please select your date to see available specials. Specials apply once item is added into the booking cart. Child rates apply for 5- 14 years. Infants 0-4 years carried free of charge, but MUST be added to your booking. Please allow up to 1 hour to park your vehicle and transfer to the Milford Sound Terminal, where you check in for your cruise. Check in is required 20minutes prior to departure. * All year around departure time. Other departures change depending on the season. *All year around departure. Other departure is for 1st November - 31st March only. Please let us know your accommodation pick up location when you book, alternatively you can meet the coach at our stores in Queenstown or Te Anau. If you are self-driving to Milford Sound please be at the terminal up to an hour before. This gives you time to park, walk to the terminal and check in before the boat departs. The journey through Fiordland is just as spectacular as the destination itself. Driving to Milford Sound from Queenstown is around 5-6 hours one way, and around 3 hours from Te Anau, this is including time for photo stops and short walks to stretch your legs. We have a fleet of specifically designed coaches that will get you there, from both Queenstown and Te Anau. Our coaches are optimized for customer experience, on board WIFI, USB ports, reclining seats and a glass roof so you can soak in all the Fiordland goodness. You can also self-drive to Milford Sound, allow plenty of time to get to the terminal, find a park and check in before you cruise. The best way to enjoy the whole experience is to board our coaches. The road is one of the finest alpine drives in the world, sometimes paired with tricky driving conditions. Our experienced drivers know the best places to get the shots and will provide you with heaps of local knowledge about the history of the region. 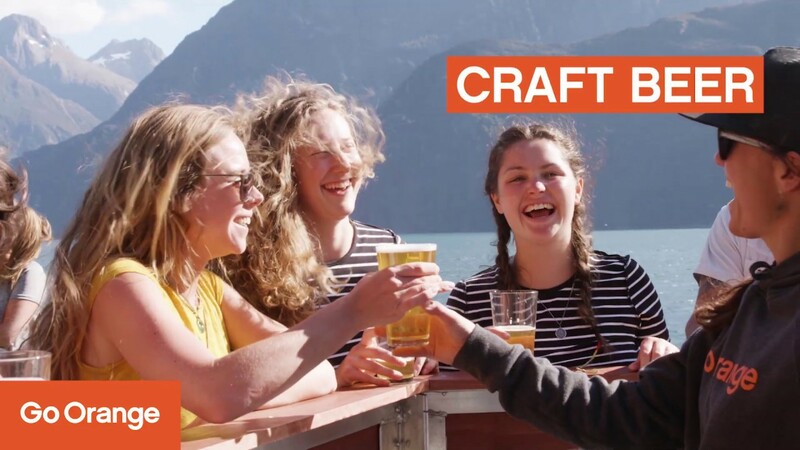 We offer coach connections from both Queenstown and Te Anau, this experience includes the two-hour cruise through the Fiord. If you opt to self-drive then you will meet the Haven at the Milford terminal for the cruise. Board the newly refurbished Milford Haven, it’s pretty epic even if we do say so ourselves…. The drive from Queenstown will take around 5 hours and from Te Anau 3 hours, allowing plenty of time for photo stops along the way. There will be toilets in Te Anau and a couple on the Milford Sound road. If you have time you can now pay a small fee to visit Lady Bowen Falls, via a boat tender. We did the Milford Sound day trip from Queenstown but were picked up from Frankton since that was closer to our hotel. This tour was amazing And surpassed our expectations. Not only were the views breathtaking but our tour guide/driver was so informative. We were basically spoilt with a great history and geography lesson with picturesque stopovers. The cruise at Milford Sounds didn't disappoint. We were fortunate enough to have clear weather even with a bit of rain. The captain was also very informative as well. One thing which blew us away was the cafe on the boat. We weren't expecting it to be so good. The food was freshly made and priced very well. This tour was worth every penny. If you do this tour be sure to be wearing very warm clothes and if you don't want to be one with the rain, take a raincoat. I loved this trip from the pick up in Queenstown. The bus arrived on time and the driver Tom was really nice and explained us so much about the territory we were driving in. It’s a really long drive to Milford sound but the bus is comfortable with plugs and big windows so you can’t miss the amazing landscape. Arrived in Milford sound we took the new cruise Milford Haven for a 2 hours experience in the fiord through waterfalls and incredible sea-life. All the staff members on the vessel are friendly and ready to make your experience unforgettable. On the way back in the bus we watched a movie, to make the return trip less boring. Really recommended! The ferry is nice. Good size. Not too big, not too small. The price is 79 per head. Variety of food to choose when u get on board. The price of the food and drinks are reasonable. I will recommend to go with this one. This is the best company when it comes to the Milford Sound Cruise. Our driver Ryan was very professional and informative. He packed in the most amount of stops during the trip while still being on time. Definitely recommend if you love taking photos of everything. It's a long day but was well worth it for the beautiful views you get on the bus and once on the cruise. Our driver a day guide, Grant was an absolute champion. Nothing seemed to much and was super helpful and knowledgeable along the way. In case you haven't found the information you were looking for, we've put together some of the most common questions you ask about our experiences. If you need more specific answers, please contact us directly. Milford Sound or Doubtful Sound? That is the question. You will find Milford and Doubtful Sound deep down in the South Island of New Zealand. They are different, but equally beautiful. Milford Sound is around 13kms long and famous for its dramatic mountain peaks and waterfalls. Home to Mitre Peak, it's easy to see why people flock here. Our travellers with enough time choose to experience both fiords. We operate round trip combined 'Coach + Cruise' excursions departing Te Anau & Queenstown. However if you want to depart Queenstown and return to Te Anau (or depart Te Anau and return to Queenstown), then please contact us directly info@GoOrange.nz as these trips are NOT bookable on the Go Orange website. How long does it take to get to Milford Sound? Driving to Milford Sound from Queenstown will take around 5 hours. Te Anau to Milford Sound is a 2 and ½ hours drive. We have added a little extra time to allow for photo stops and short walks. Make sure you fill up your tank at Te Anau as there are no petrol stations in the national park. For more information refer to our Driving Times webpage. If you are not confident about driving in winter conditions then take a Go Orange Coach + Cruise to Milford Sound and relax and enjoy the stunning scenery. 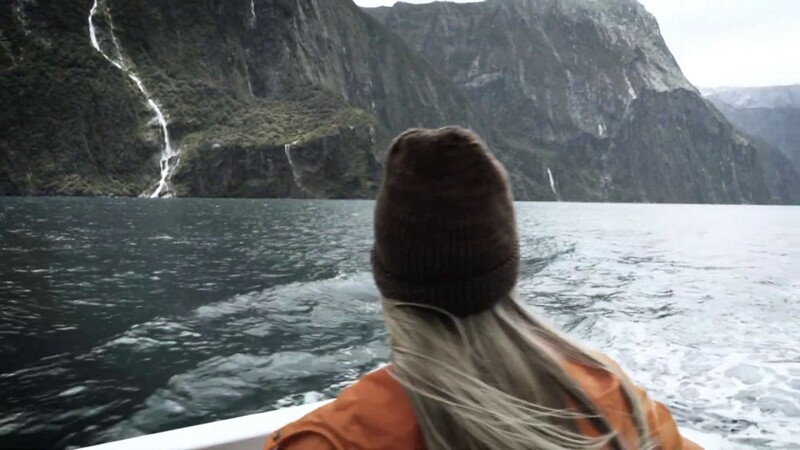 What do we do when we get to Milford Sound? Free parking is available for all. You should allow 45 minutes to park up and check in to the Milford Sound Terminal. You are required to check in 20 minutes before you cruise. Will you pick us up from our accommodation? Of course. If you have booked a Coach + Cruise package with us, then our coaches can pick up from most accommodation in Queenstown and Te Anau. Just let us know where you want to be picked up from or make your way to one of our Visitor Centres. What is the weather like in Fiordland? They say you can never have a bad weather day in Fiordland. If the sun is shining, you're in for a treat, if it's raining, then get ready to be blown away by all the extra waterfalls on show. The rainfall is what makes Fiordland National Park so unique and visitors should be prepared for some rain during their visit, after all it rains 200 days of the year. Temperatures can vary and here is roughly what you can expect in all four seasons. Can we purchase food on the boat? You sure can. We have a great new menu on board with food from some of our favourite Queenstown eateries including The Empanada Kitchen. We also have salads, Fish and Chips, Chia pots, Vegetable Curry and more. Can we use the top deck? The whole boat is yours to explore. The first floor is where you will find the bar and restaurant style seating. The second floor boasts comfy booth seats that face outwards so you can enjoy the views. The top deck has a communal wooden bench seat running the length of the deck. We also have a bar on the top, pulling our exclusive Haven XPA brew. Unfortunately not. We are running a cash only bar right now, please bring cash if you wish to purchase food and drink on board. Will there Vegetarian / Vegan option available on board? We have catered for all. Vegan and Vegetarian options will be available on all cruises. We also have a great range of snacks and plant-based smoothies for you to try. What if it starts to rain during our cruise? Then head inside and settle into our comfy booth seats. We have hot drinks available and windows all around the boat, so you won’t miss out on those epic views. How long do we cruise for? The Milford Sound Cruise is two hours long. Departing the terminal and returning two hours later. We will cruise up the left-hand side of Milford Sound and back down the right. Visiting Seal rocks, the Tasman Sea and the famous Stirling Falls where you can get yourself a free glacial water shower. Do you have staff on board? We have the best team on board! Order at the bar and they will hand deliver your food and drink. Make sure you ask them about all things Milford Sound and living down in this beautiful corner of the world. You can also hop up front in the cabin with our skipper and spin a few yarns, he has stories to tell! Can we purchase the artwork on board? We will have a selection of prints to purchase on board. We were lucky enough to work with some awesome local artists and were proud to showcase their work. In the New Year we will also have a great range of Go Orange merchandise available so keep your eyes peeled for the Orange bottles and takeaway cups on display at the back of the boat. Where is the beer brewed? Canyon Food and Brew Co in Queenstown kindly brewed us an exclusive XPA. This beer is only available on the Haven so make sure you grab a pint and enjoy. Can we get off the boat? Unless you fancy an icy dip in the Tasman sea, we highly recommend you keep all body parts on the boat at all times. The Milford haven will cruise for 2 hours before returning back to the Milford Terminal and dry land. Can we visit Lady Bowen falls? Yes! The track has been closed since 2006 but now open to the public. If you speak to the harbour master, pay $10 you can jump in a small boat and explore the waterfall. To return just stand at the dock and the harbour master will come over to get you. What are the chances of seeing Wildlife? The awesome thing about the wildlife in Fiordland National Park is that it is wild. We cannot guarantee you a wildlife sighting, however we have a pod of dolphins residing in Doubtful Sound so, you may witness these incredible mammals swimming in our bow waves. Seals are also sighted regularly, taking residence upon a collection of rocks in Milford Sound & if you're super lucky then the Fiordland Crested Penguins can sometimes make an appearance. Let us explain the difference between a Sound & a Fiord. Throughout Fiordland our fiords are officially mapped as Sounds, however we should call them fiords. Milford Sound has a better ring to it though, right? What if it’s raining in Milford or Doubtful? Should we still go? The answer is yes. You will experience the real Milford Sound in the rain. The rockfaces stream with waterfalls and dramatic mists hang around in the valleys hugging the mountain tops. From the comfort of our brand-new glass roof coach & Milford Haven boat, you can appreciate the epic surrounds. If we have booked the coach cruise coach package where do, we get picked up from? If you are exiting Queenstown, then head down to the Cardrona street store at 37 Camp Street in Queenstown, here you will meet the driver and jump on the bus. If you would like accommodation pick-up, please state this with your booking and wait outside in the designated bus stop before your departure. If you are exiting Te Anau then head to Kiwi Country Town Centre, Te Anau, our driver will meet you there. We also offer accommodation pick-ups along the way so let our team know should you need a pick up. Can I charge my phone on the bus? Our brand new Orange buses have USB charging points next to each seat, we also have on board WIFI so you can start uploading to the gram as soon as we hit reception again. Is there food available on the bus? We do not provide food or beverages on the bus. We will stop along the way for short walks and toilet breaks. We will also stop at a café, but please feel free to bring your own snack for the bus. How long does it take to get to Milford Sound on our coach? We allow plenty of time for short walks and photo opportunities so from Queenstown around five hours. If you are leaving from Te Anau it will take two and a half hours. Will the driver talk to us? Of course, our drivers are pretty epic and will have plenty of yarns to spin on route. Can we reserve the front seat? Will we stop to take photos? Yes! And now with the added bonus of our glass roof coach you can see the wonders of Fiordland National Park from the comfort of your seat. Will we see any wildlife from the coach? Our drivers normally send a quick email to the Kea in a morning to let them know we are coming so they normally hang out around the Homer Tunnel. Your driver will point any wildlife out if we see them. Will the driver wait for us or do we get a different bus home? You will return on the same bus you arrived on. You may be allowed to leave items on the bus but always check with the driver.